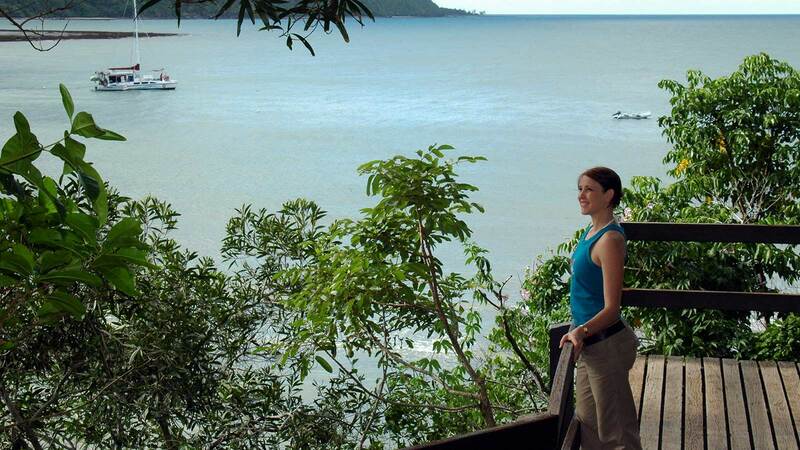 The remote natural magnificence of Cape Tribulation is a natural gem to be explored. A place where the rainforest meets the sea, this overnight experience guarantees wildlife spotting as well as one of the most scenic coastal drives in Australia. This tour is an extension of the Go Wild Day Tour. With the same inclusions, sights and locations, the overnight tour gives you the chance to sleep overnight in the rainforest! On day one, you’ll join the day tour group where you will enjoy a guided tour of The Wildlife Habitat – where getting up close to the infamous and sadly endangered Cassowary. Here you'll also have the opportunity to cuddle a koala and get some happy snaps with a snake or crocodile. You’ll then hop on board a river cruise and be wound through the Daintree River, spotting crocodiles, birds and various other wildlife in their natural habitat. There will also be plenty of photo opportunities, especially at Alexandra Lookout, as well as guided rainforest walks for you to take in the fresh air. Once you’ve had lunch at Cape Tribulation, you’ll leave the group and be shown your accommodation for the night. From there’ll you’ll get to enjoy your own free time (until the next afternoon) to explore by yourself. Your trip will then be complete as you take a ride on the cable ferry, to get you back on your way to Cairns. Photos with a koala, snake or crocodile are available on the day at an extra cost. 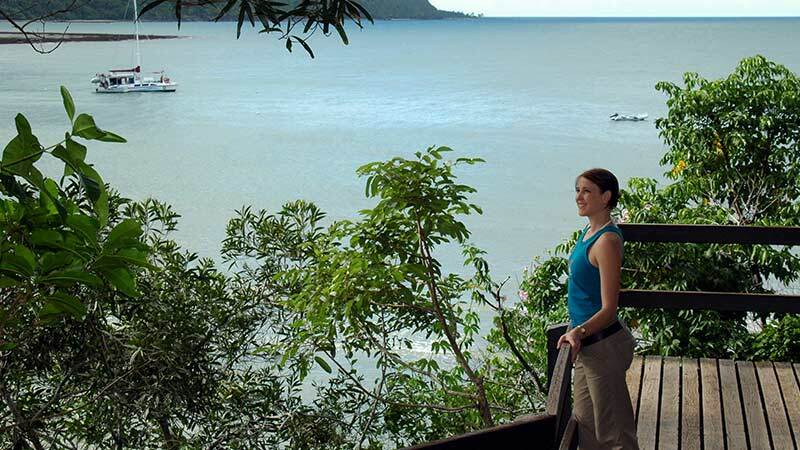 Activities whilst in Cape Tribulation are also available for purchase. Pick up from your selected Cairns accommodation will be at approx. 7am, returning at approx. 7.30pm on day two.